At its 2016 "One Heart, Four Paws" Valentine's Day celebration, Paws & Effect is pleased to host the book launch for Missouri author Heddie Wittlin-Leger's "Hero to the Rescue." 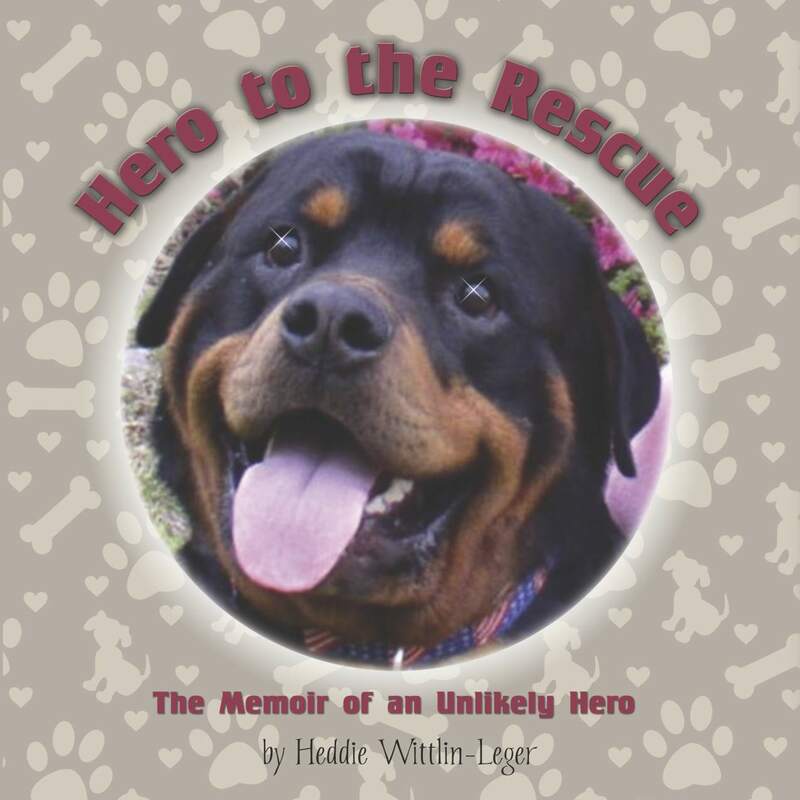 The 78-page non-fiction children's book tells the story of a Rotweiller named "Hero," who survived multiple hardships and heartaches, to become a much-loved therapy animal, Dog Scout, and friend. Heddie and Hero served as an animal-assisted therapy team with children with cancer in hospitals; families in domestic-violence shelters; and families and rescue workers in after-disaster situations. They also taught children to read in libraries and schools. According to the publisher, "Courage in the face of obstacles, survival no matter what life throws at us, and loving to be around people—especially children—are resounding themes on every page. Readers will find themselves drawn to this gentle giant, a people-loving teddy bear of a dog that will live on in the memories of all he touched." The "One Heart, Four Paws" event will take place from 1 to 3 p.m. at the Blank Park Zoo, 7401 S.W. 9th Street, Des Moines, Iowa. The author will read at approximately 2 p.m. Winners of this year's "One Heart, Four Paws" haiku contest will also be announced. "This beautiful children's book focuses on the human-animal bond, humane education, and the value in cherishing the special dogs in our lives," says Paws & Effect Executive Director Nichole Shumate. "We are thrilled to help celebrate Hero's and Heddie's story, and to share it with others." The book was published earlier this month by Paws and Claws Publishing, LLC, High Point, N.C. Copies of the book will be available at the "One Heart, Four Paws" event. The book is also available via on-line retailers such as Amazon and Barnes and Noble.